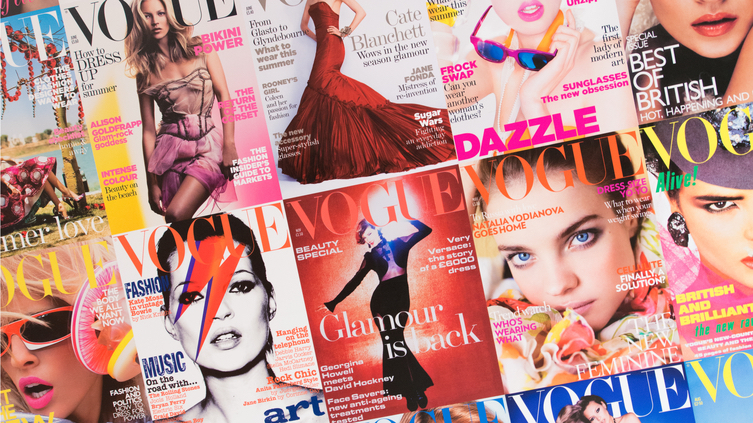 Even big fashion magazines like Vogue, Cosmopolitan and Glamour are suffering from what David Bond, Media Correspondent at the FT has coined ‘digital disruption’; the shift in consumer, brand and retailer focus from traditional print to social media platforms such as Instagram and Facebook, blogs and e-commerce outlets. The reality of the situation is clear: last year UK fashion and lifestyle magazines experienced a 5% drop in circulation, and according to a recent Zenith report while luxury sales are predicted to rise from $590M to $624M next year investments in luxury magazines will fall by$5M. So what is the impact? Firstly, luxury brands including Louis Vuitton and Prada are increasingly faced with an overwhelming variety of options to spend their advertising budgets, meaning that exclusive magazines are competing with fashion websites, blogs and influencers. “There are more magazines, so luxury brands simply have more places to go”, says one luxury magazine editor. E-commerce specialists such as Net-a-Porter have emerged as additional rivals to the likes of Vogue by embracing content within its sales platform, not to mention launching its own magazine, hereby ‘blurring the thin line between editorial and advertising’ says Bond. Gathering consumer data has become key for today’s luxury brands. In order to collect this they are starting to turn away from the likes of Net-a-Porter by developing their own sites to capture and track customers in a more direct way. For example, Louis Vuitton is scheduled to launch its own e-commerce website to ‘harvest customer data and be in total charge of their luxurious items sales’. We are all well aware that we are in the middle of a digital revolution and experiencing first hand technology driven change and its knock-on impact. Luxury magazines have not needed to diversify their digital game like newspapers have in recent years, but the hour is now nigh. How they adapt to ever changing consumer behaviour and what brands and retailers – bricks and mortar and e-commerce – want will be fascinating to see. Are you a certified women’s owned business looking to launch in the UK?